But first … sales! I shared my best Nordstrom Fall sale picks last weekend here and here. Happily, a few items arrived before I left so I snapped a few quick picks to share and review while I fly. All of these pieces are still available and the sale goes through Sunday! Tory Burch Sara Sweater – I don’t know who Sara is – but she has good taste. Mostly Navy with a red, white and bright blue box pattern. This one is slightly oversized, very dense and so comfortable. I could easily wear this to work paired with dress slacks or a pleated Midi skirt. #Yesss! Tory Burch Stripe Sweater – This one is horizontal stripes in red, ivory, navy and black. 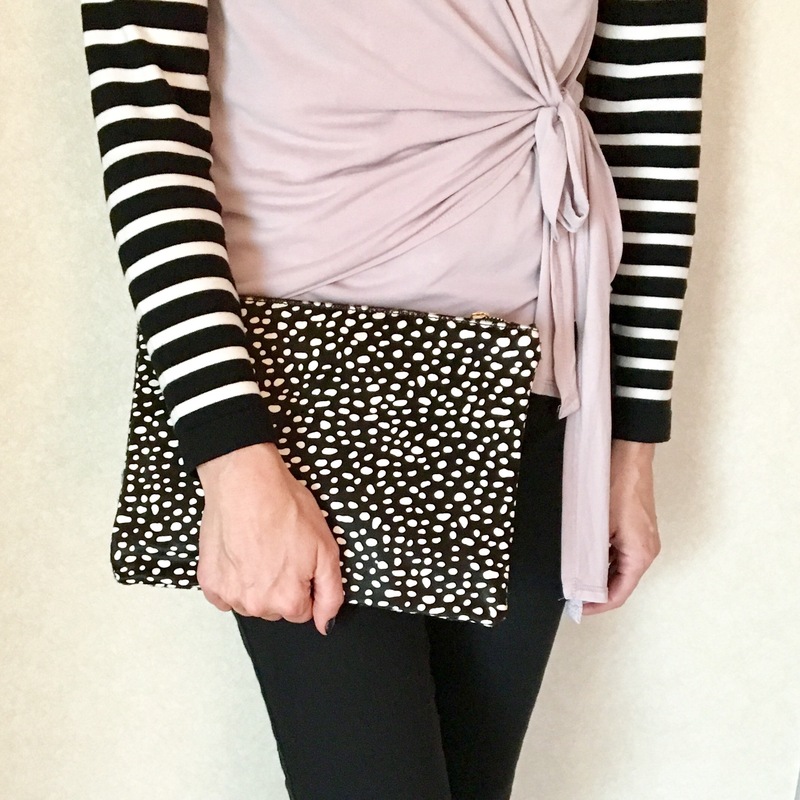 Warm without being bulky (thank you alpaca) and a much more feminine fit. Also very work appropriate paired with dress slacks or a pencil skirt. #AlsoYess!! 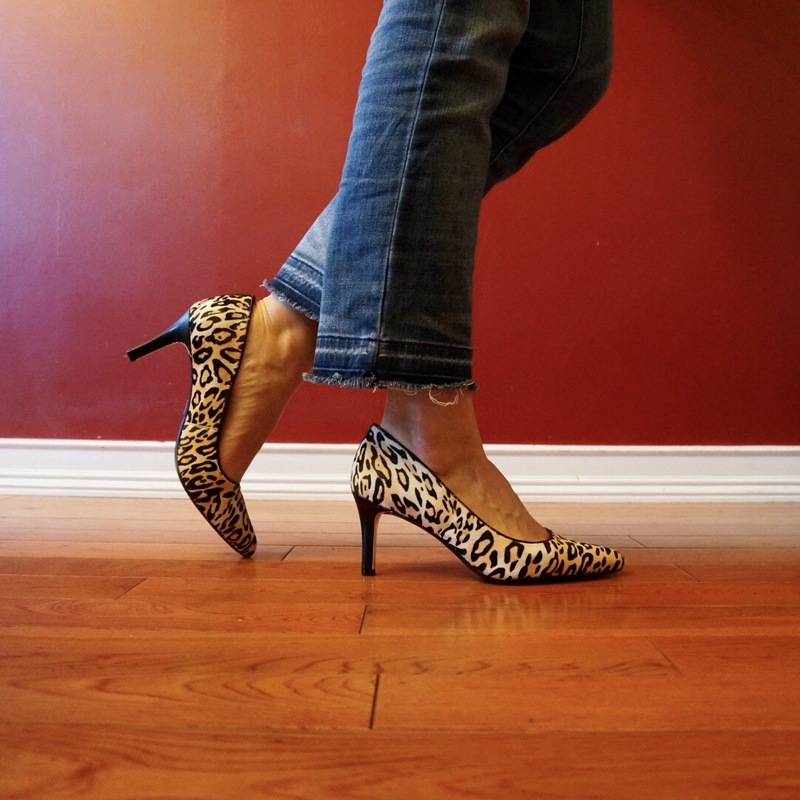 Naturalizer Pumps – The other pair of leopard shoes arrived. These are much similar in style to my original pair but the coloring is lighter. 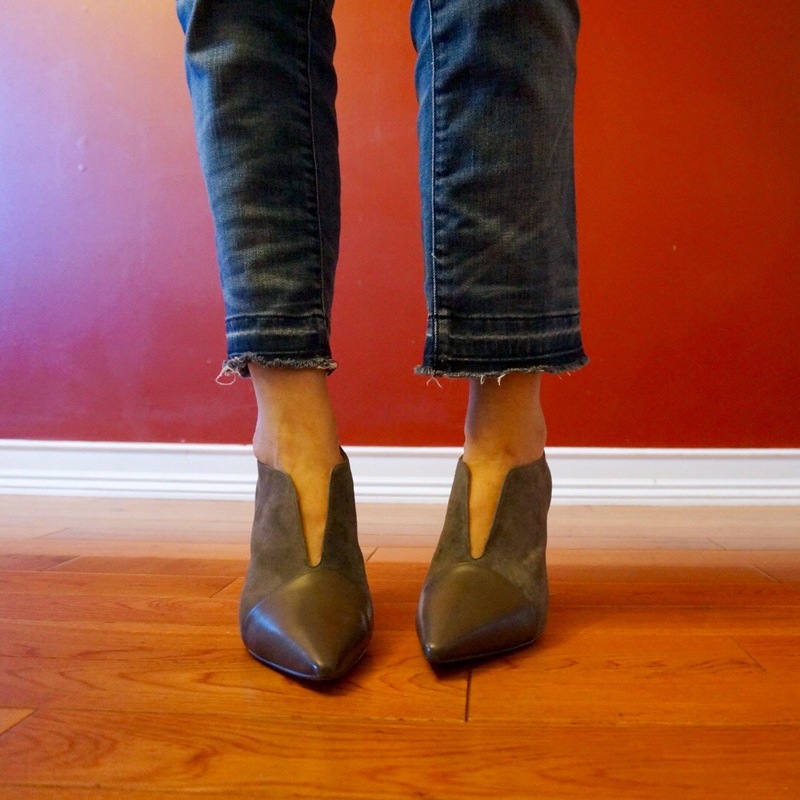 Super comfortable with a very reasonable heel height. Fit TTS. Marc Fisher – These bright blue beauties have a contrasting heel that my photos are not doing justice. (Sorry, the sun was fading fast). They also come in a rich burgundy which is perfect for the holidays and a classic black and white which is perfect anytime! Fit TTS. Elwood Heels – These shoes are J.Crew’s very definition of their famous hashtag #shinyponies – so glittery and wonderful. 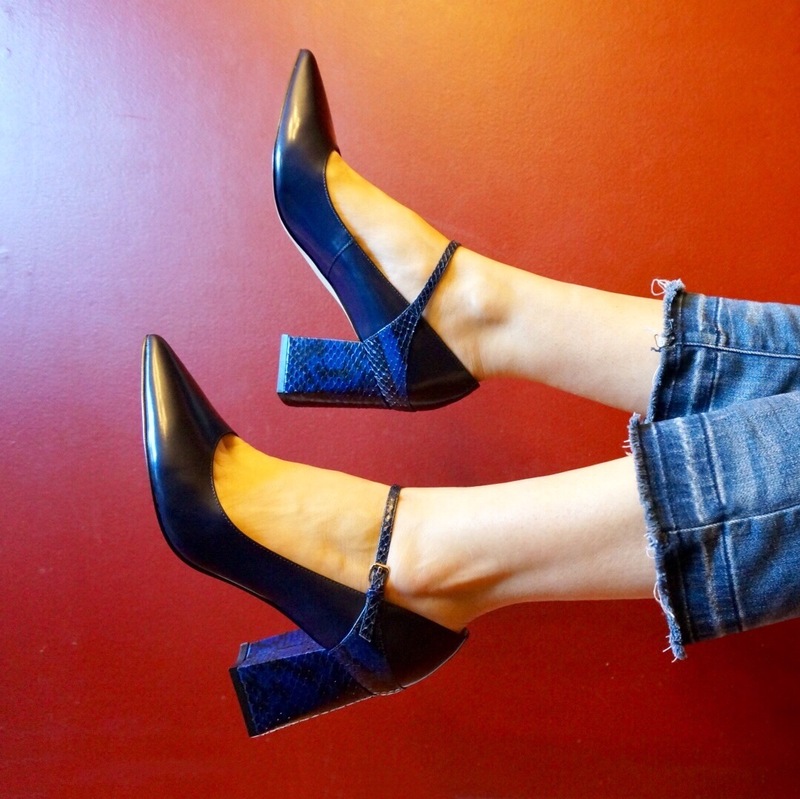 Did you catch the tweed heel? #observe Quintessential Holiday Heel at a very practical heel height! I’m wearing a 9 in the pictures. I just ordered an 8.5. It is my recommendation to size down a half size. Enjoy your weekends and follow my Vegas fun on Instagram and/or Facebook!